Will the relentless stream of new regional art fairs in emerging markets ever abate? That was the question many were pondering as the first edition of Tbilisi Art Fair (TAF) kicked off last Thursday. Where? You might ask—the Georgian capital is hardly known as an art destination—but there is more to the market potential of Tbilisi than first appears. In the last five years in Tbilisi, a cluster of contemporary art galleries have opened, starting with Window Project and Nectar Gallery (in 2013) and continuing with ERTI, Patara and the Why Not Gallery, which opened between 2017 and 2018. According to TAF’s director Eric Schlosser, the country’s “political stability, key geographical location between East and West, the financial capacity of several established collectors, and the new generation of art buyers” all sparked the decision to launch Georgia’s first art fair this year. Held in the Soviet-era convention centre ExpoGeorgia, this first edition gathered more than 35 galleries, most of them hailing from Tbilisi and Moscow. But there were others from cities such as Paris, Antwerp, Vilnius and Baku too. Warsaw galleries Dawid Radziszewski and Raster shared one of the best booths at the fair, featuring artists including Slav and Tatars, Adam Rzepecki, Zofia Rydet and Przemek Matecki, whose small painting Michelangelo sold for €1,000 a few minutes into the fair. Unsurprisingly, Georgian artists, both Modern and contemporary, featured heavily across the fair. 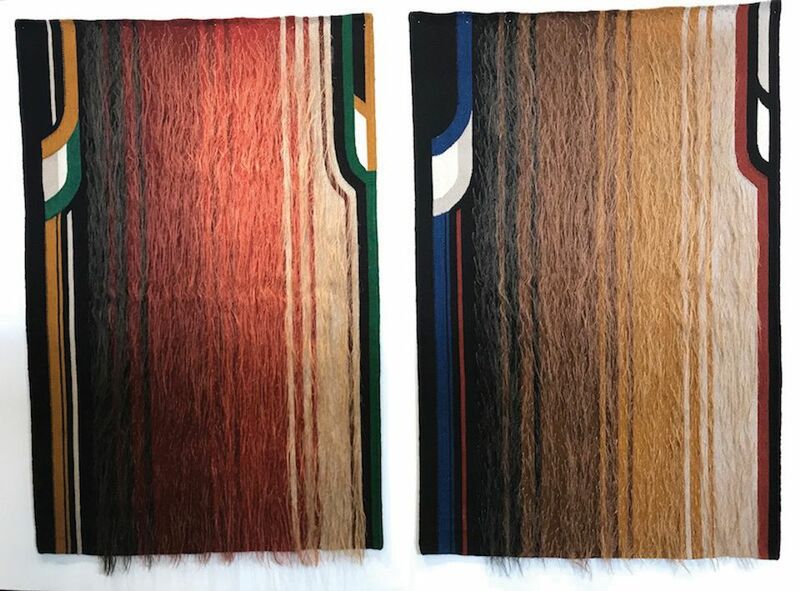 Tapestries proved early favourite at the preview, particularly three large pieces by Tamaz Nutsubidze from the 1980s, shown by Nectar Gallery, priced from €15,000–€21,000. Meanwhile, a giant tapestry by Kako Topouria, which, at $300,000, was probably the most expensive piece at the fair, was independently exhibited by the artist, rather than via any of the galleries he works with. Nearby, Berlin’s Galerie Kornfeld presented a solo booth of works by the Neo-Expressionist female artist Natela Iankoshvili, one of Georgia’s most prominent Modern painters, who refused to conform to Social Realist norms during the Soviet era. 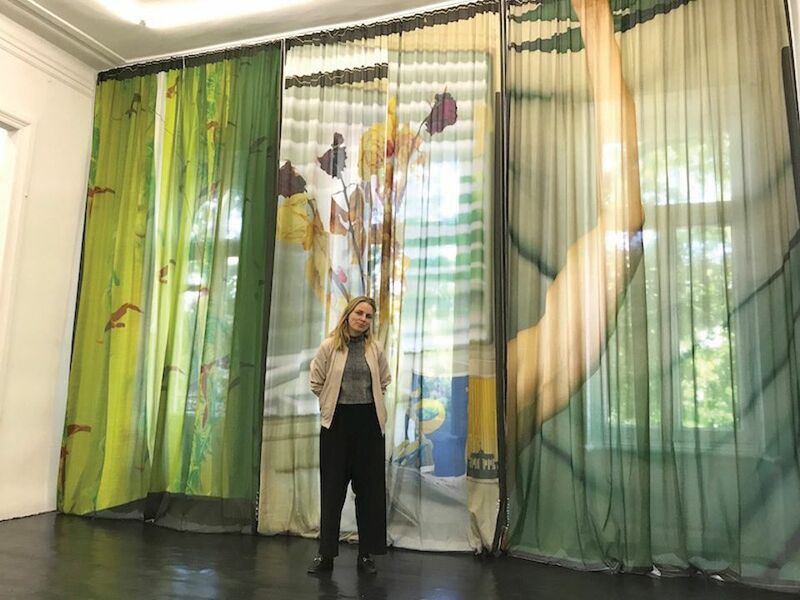 “In Georgia there are two or three very big collectors, like (businessman and politician) Bidzina Ivanishvili, who buy international art and big names, but the local art market needs to be developed here, and it is important to support initiatives like this fair,” says Mamuka Bliadze, Kornfeld’s artistic director. Salome Vakhania, co-founder of Project ArtBeat, thinks Tbilisi’s art scene is now mature enough to sustain a fair, “because now we have enough galleries and it is crucial to bring foreign galleries, collectors and experts so we can develop international relations and learn from each other”. 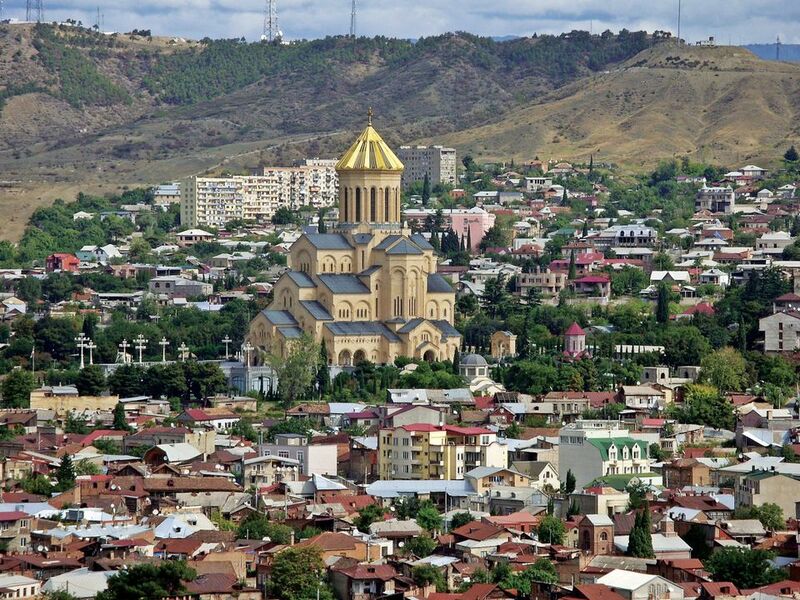 She adds that Tbilisi’s desirable location, “economically and geographically”, means that “there’s a lot of foreign investment arriving here, which means that even though rents are still much cheaper than in Berlin, this is already starting to change. As is typical of emerging art markets, where there is usually a lack of public museums, in Georgia it is down to commercial galleries, art fairs and privately funded non-profits to step in and promote education and local artists—as was evident during the busy week of TAF. Chief among these initiatives is the nomadic project Kunsthalle Tbilisi, organised by Irena Popiashvili and Lika Chkuaseli, who launched the ambitious non-profit with a double bill: a solo show by Angelica Mesiti—organised by Mari Spirito from the Istanbul-based organisation, Protocinema, and installed in a former wine factory—and an exhibition by Nika Kutateladze at a former Soviet apartment. Another is the artist-run exhibition OXYGEN, featuring over 40 Georgian artists (mostly emerging) and held in Stamba, a former publishing house that is now being turned into a hotel. Some of the most effective displays, by artists such as Salomé Dumbadze, Yuri Berishvili and Tamar Chaduneli, paired artworks with the old decaying architecture.